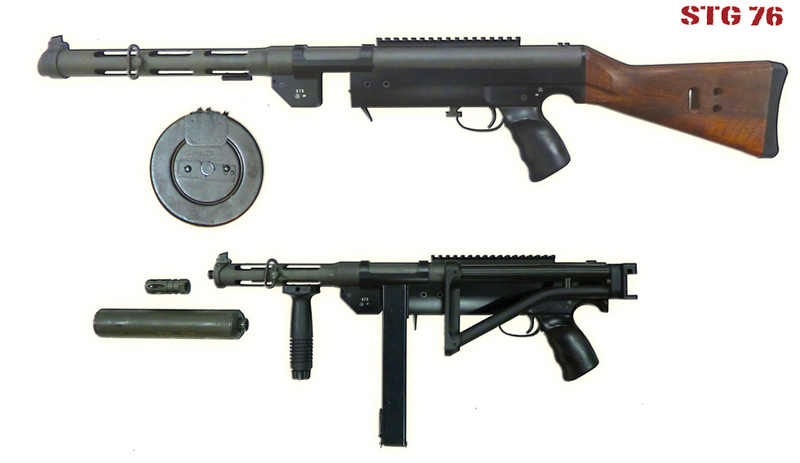 The STG76 was replaced by the U9. They are essentially the same gun with the exception of the grip and stock. The STG76 uses HK stocks and grips whereas the U9 uses M16-compatible stocks and grips. The U9 also has the ability to utilize the slow-fire (heavy bolt) system. Spare parts and service will continue to be available. Capacity and Control: These guns use 70 round drums and are smooth cycling, heavy, accurate, and comfortable to hold. It's basically an assault rifle with a sub-caliber setup... a very controllable and accurate gun in full auto. It's so smooth due to the weight, layout, and action; you can actually watch your target being hit through a 4x scope while shooting long bursts. The 'laser beam' performance of this gun makes is one of the most enjoyable full auto guns you'll ever shoot. Cheap Ammo: These guns easily run thousands of rounds of the least expensive steel-cased ammo on the market. Can't Get Too Hot: These are ideal for machine-gun shoots. The low-pressure 9mm round cannot create enough heat in the barrel to cause a malfunction or damage the gun. There's no gas system to clog, and the open-bolt system negates any cook-off risk. Nearly Impossible to Break: The all steel receiver takes very little load during use. This gun is also way overbuilt for the stresses it can possibly be subjected to. All of the impacted parts are machined from solid steel. Easy to Fix: Even if parts break or wear on this gun, they are simple to replace. As a 'takedown' gun all components can be easily removed and replaced from the receiver. Even though we service our guns for free, there's no need to send them to us for repair. The bolt, barrel, buffer, ejector, trunion, and fire control can simply be removed and replaced by a novice gun owner. In 2003, BRP CORP, along with the help of the original inventor, John Stemple, manufactured the first Stemple Takedown Gun (STG) setups. 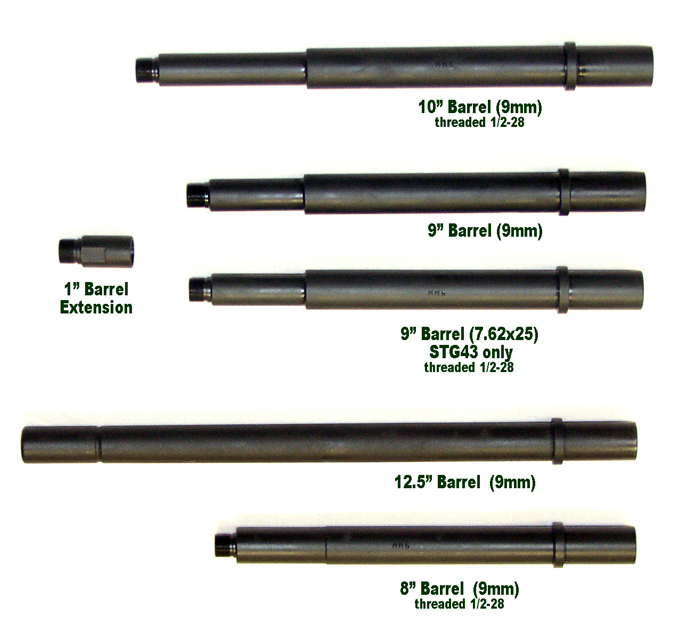 These are complete new parts packages installed on unmodified/transferable Stemple 76/45 machine gun receiver tubes. 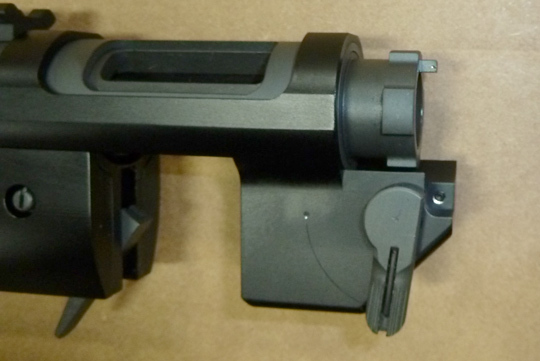 These ‘takedown’ systems of interlocking subassemblies can be easily attached to and removed from the 76/45 receiver. This method of assembly is ATF approved. These machineguns are fully transferable to individuals. The Stemple 76/45 is roughly a 45ACP version of the 9mm S&W 76. The S&W 76 design was heavily inspired by the Swedish K/Carl Gustov M45. 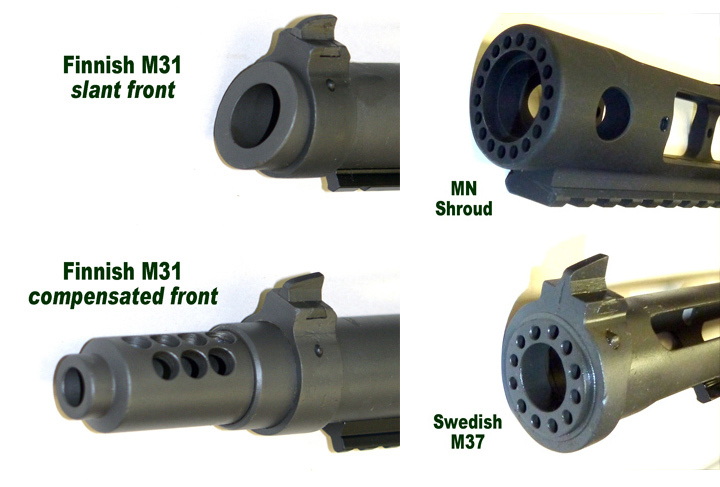 The M45 uses the same barrels and magazines as the Swedish M37. 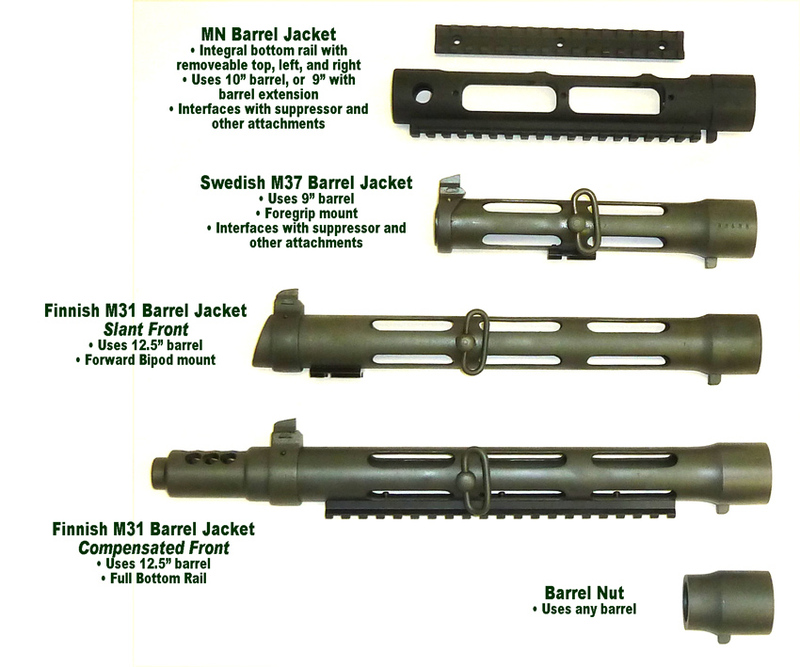 The M37 is a short-barreled version of Finland's KP31. Since the Stemple 76/45 drew its roots from the Finnish KP31, it was a natural fit to use original Finnish and Swedish parts in the Stemple 76/45 system. STG-76: The STG-76 is one of our most adaptable and enjoyable setups. It can fit the "heavy submachinegun" concept by incorporating a bipod and long barrel or standard subgun layout with a shorter barrel and folding stock. WIth our new quick-change barrel system, switching between setups is quick and easy. Heavy subguns with bipods were not uncommon on early SMGs such as the Finnish KP31 and the Czech ZK383. The STG-76 is assembled using numerous newly manufactured Stemple-compatible parts, Suomi KP31 components, a HK-style stock and grip, and an unmodified/registered Stemple 76/45 machine gun receiver. The STG76 features the Suomi KP31 quick-detachable barrel system. Takedown, cleaning, and switching between setups has never been so easy. These guns can saw a soda can in half at 150 yards.